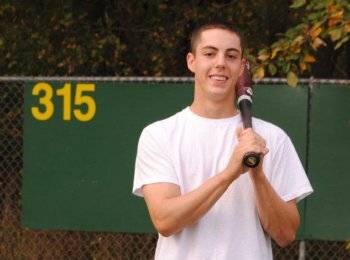 Note: My youngest son Brian wrote this article about college baseball recruiting while he was a senior in high school. 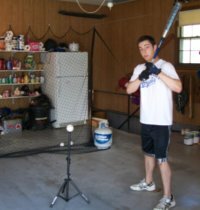 It was first published in the www.PineTarPress.com, a baseball blog. 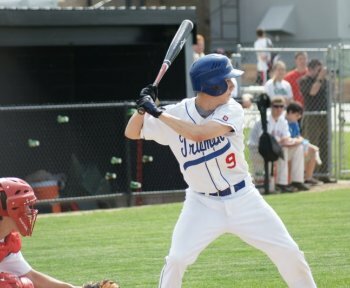 I am currently a high school senior, and have been in the midst of a college baseball recruiting whirlwind. I have been contacted by schools ranging from NCAA D1, to low level NAIA schools. While this has been a once in a lifetime experience, I do not think anything could have prepared me for any of it. 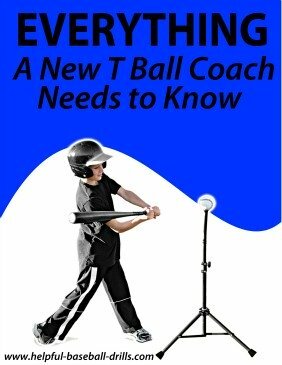 It all started when I was 12 years old, and went to the Mickey Owen Baseball School. Before making my trek to Miller, Mo, I saw myself as a run-of-the-mill baseball player. On the first day of the camp, my speed during the 60 yard dash caught the attention of many coaches. As the camp progressed, I realized that I was blessed with more natural ability than many of the kids there. At the time, I did not realize what was about to happen. After the camp, my parents and I were approached by a bird-dog scout for the Colorado Rockies. He explained to my parents and me that I possessed many tools that could later make me a top level player. We were also informed that my name would be turned in to the Colorado Rockies as a name to follow. After getting in the car to go home, we were all taken back and did not know what to think. What we thought definitely did not prepare us for the years to come. This is where it all began. By the time I got to high school, my name was known and I was expected to make the varsity squad as a freshman. I lived up to the expectations, excelled as a young player, and started to capture the attention of more and more people. In the summers, my travel team was filled with many high quality players. My coaches did a great job of getting us in the right tournaments, and in front of many college coaches. Now, all I could do was wait for the one day that seems to be magical in the college baseball recruiting process, July 1st of my junior year. 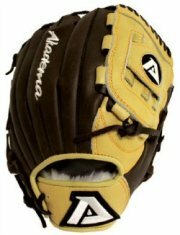 July 1st of a baseball player’s junior year is the first day that he can receive personal contact from colleges. In my head, I anticipated this day as being spent on the phone with countless colleges and recruiters. 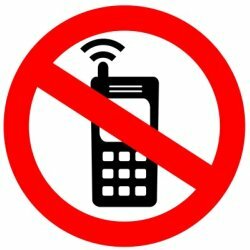 When July 1st rolled around, I found myself with a phone that was not ringing. I was devastated, and did not know what to think. When I spoke to my parents about how disappointed I was, they only told me to be patient, and that my time would come. Even though July 1st did not live up to the expectations I had set, I stayed patient and my time came. While playing a local junior college, I finally received my first contact from a college coach. I was ecstatic, and had the itch for more. More came, and in a huge way. After playing at a big-time D1 school, I received an email from them expressing their interest in me. In the email, the college baseball recruiting coordinator offered me tickets to any basketball game that I wanted to attend. While there, I would be sitting in the recruits section. This was a dream come true, as I had always dreamed of getting an opportunity to play at the D1 level. In my head, I believed that I had made it and was going to receive a D1 offer soon. I could not have been any more wrong. After attending the basketball game that I had chosen to go to, I received absolutely no contact from the school. Not only did this happen with one D1 school, but two. This was definitely a low in the recruiting process. Eventually, as my junior year progressed, I had to sit down with my parents and start to get serious about where I would be playing baseball at the next level. Physically, I am 5’10 160lbs. My stature was definitely not grabbing the attention of big D1 schools. Also, my tools were very raw. I had arm strength, I had speed, I had the hand-eye coordination, but the finer details of my game were not fine-tuned. Many kids that I know, and have played with over the years will jump at the thought of playing at a D1 school. I used to have this attitude, but I have recently realized that this is not the right fit for everyone. When a freshman walks in to a big time D1 school, the coaches want you to have your game polished. This is not the case for everyone, including myself. While talking to my high school coach, he suggested a junior college. 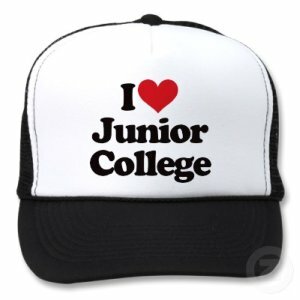 At first, the thought of a junior college is not very appealing. The more I talked to people and learned about what a junior college program had to offer, I became very interested. At a four year school, playing time for freshman is usually limited. Many times, a player may have to wait until his junior year to see major playing time. On the contrary, a junior college program gives a player the opportunity to come in and start getting game experience immediately. Also, if a player’s game is not fully developed, a junior college is helpful in getting them where they need to be. A lot of players that have a two year stint at a junior college will transfer to a D1 school and immediately become an everyday player. The right fit for me seemed to be a junior college, and that is where I have committed myself to playing baseball next year. I have “been there done that” and I have many words of advice to offer on the recruiting process. The first being that there will be ups and downs, but you must be patient. Second, do not put too much emphasis on July 1st; generally you are setting yourself up to be disappointed. Third, even though a D1 school seems to be appealing, make sure that it is the right fit. Fourth (and probably the most important), do not get discouraged. There will always be tomorrow, and I am a firm believer in “everything happens for a reason”. Remember that. The last thing that I have to say is, do not be intimidated. This is much easier said than done, but take this college baseball recruiting process one day at a time. Once again, this is a once in a lifetime experience, and I hope that all of you make the most of it.